STILLEN 350Z Graphics Kit NISSAN - Dezod Motorsports Inc - Home of the automotive performance enthusiast since 2002. 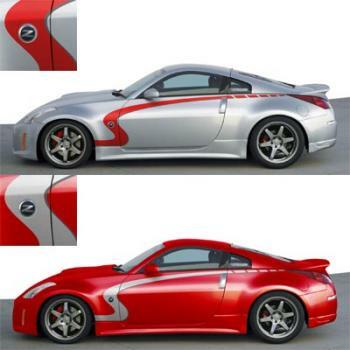 STILLEN’s graphic kit adds unique styling to your 350z. This kit is easy to install and is available is 2 color options red or silver. For Lighter colored Z’s the best option is the red graphics kit with gun metal outlining. For darker colored Z’s the best option is the silver kit with gun metal outlining.